Walter Willett, MD, DrPH, is Professor of Epidemiology and Nutrition at Harvard T.H. Chan School of Public Health and Professor of Medicine at Harvard Medical School. Dr. Willett studied food science at Michigan State University, and graduated from the University of Michigan Medical School before obtaining a Masters and Doctorate in Public Health from Harvard T.H. Chan School of Public Health. 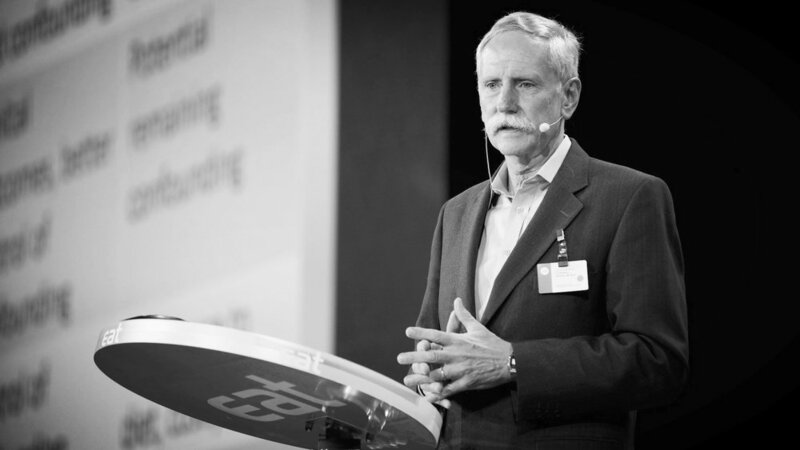 Dr. Willett has focused much of his work over the last 40 years on the development and evaluation of methods, using both questionnaire and biochemical approaches, to study the effects of diet on the occurrence of major diseases. He has applied these methods starting in 1980 in the Nurses’ Health Studies I and II and the Health Professionals Follow-up Study. Together, these cohorts that include nearly 300,000 men and women with repeated dietary assessments, are providing the most detailed information on the long-term health consequences of food choices. Dr. Willett has published over 1,600 original research papers and reviews, primarily on lifestyle risk factors for heart disease, cancer, and other conditions and has written the textbook, Nutritional Epidemiology, published by Oxford University Press, now in its third edition. He also has written four books for the general public. Dr. Willett is the most cited nutritionist internationally. He is a member of the National Academy of Medicine of the National Academy of Sciences and the recipient of many national and international awards for his research. Robert Ostfeld, MD, MSci, a cardiologist, is the founder and director of the Cardiac Wellness Program at Montefiore Hospital, an Associate Professor of Clinical Medicine at the Albert Einstein College of Medicine and the Associate Director of the Cardiology Fellowship at Montefiore-Einstein. His professional interests include cardiovascular disease prevention, medical education and clinical research. 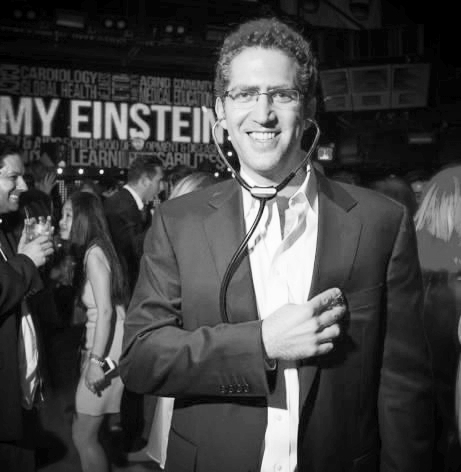 He earned the Outstanding Full Time Attending of the Year award at Montefiore for excellence in teaching medical residents; the Program Director's Award for dedicated service on behalf of the Montefiore-Einstein Cardiology Fellowship; and was elected to the Leo M. Davidoff Society at Einstein for outstanding achievement in the teaching of medical students. Mingyang Song, MD, ScD, is an instructor of Medicine at Harvard Medical School in the Division of Gastroenterology and researcher with focuses on Translational Research of Nutrition and Cancer, Gut Microbiota, and Cancer Prevention and Survivorship. Ambika Satija, ScD, is a Yerby Postdoctoral Fellow and an American Heart Association Postdoctoral Fellow in the Department of Nutrition, Harvard T.H. Chan School of Public Health. She has a B.A. in Psychology from Delhi University, India, and a B.A. in Human Biological & Social Sciences from Oxford University, UK, where she studied as a Rhodes Scholar. Ambika obtained her Doctor of Science in Nutrition and Epidemiology in 2016 from the Harvard Chan School, before which she worked as a Research Fellow at the Public Health Foundation of India for three years. Her broad research interests lie in the dietary and lifestyle determinants of cardio-metabolic diseases. In her doctoral thesis, she assessed the reliability and validity of plant-based diet indices, and examined their associations with type 2 diabetes and coronary heart disease in three US prospective cohort studies. Ambika’s current research focuses on examining the prospective associations of plant-based diets and plant foods with other health outcomes, and evaluating the mediating role of the gut microbiome in the dietary etiology of cardio-metabolic diseases. Her long-term goal is to study the entire chain of causation from lifestyle factors, to intermediate biomarkers and pathways, and finally to cardio-metabolic endpoints, with the aim of translating the research findings to clinical practice and policy strategies for disease prevention. She is keenly interested in pursuing methodologies that bridge multiple disciplines, which is essential to answer the most important public health questions. Christopher Hirschler, PhD, MA is an Associate Professor and Chair of the Department of Health and Physical Education at Monmouth University. Chris founded Plants for Peace at Monmouth University, directs faculty-led programs in Guatemala and Costa Rica, produces YouTube videos, blogs for One Green Planet, and he has been published in Society and Animals (2011), Inside Higher Ed, The Chronicle of Higher Education, and ICAN: Infant, Child, & Adolescent Nutrition (2014). Chris is a Master Certified Health Education Specialist, athlete, and frequent national and international conference presenter. Micaela Karlsen, MPH, MS, is a doctoral candidate of Nutritional Epidemiology at Tufts Friedman School of Nutrition Science and Policy. Micaela currently serves on the Expert & Medical Advisory Board for the International Plant-Based Nutrition Healthcare Conference and the Board of Directors for PPOD. Under the supervision of T. Colin Campbell, she co-launched the T. Colin Campbell Center for Nutrition Studies, the world’s premier educational organization promoting plant-based nutrition. Micaela served as Executive Director through December 2012 and assisted in building and launching the TCC Certificate Program in Plant-Based Nutrition through eCornell Inc. She also founded and maintains PlantBasedResearch.org, an online database of peer-reviewed, scientific research relevant to plant-based nutrition. David L. Katz, MD, MPH, FACPM, FACP, FACLM, is the founding director (1998) of Yale University’s Yale-Griffin Prevention Research Center, Immediate Past-President of the American College of Lifestyle Medicine, and Founder/Director of the True Health Initiative established to help convert what we know about lifestyle as medicine into what we do about it, in the service of adding years to lives and life to years around the globe. Katz directed the development of the Overall Nutritional Quality Index® used in the NuVal® nutritional guidance system, the world’s most robustly validated nutrient profiling system. He is the Founder (2016) and CEO of DQPN™, LLC, a start-up company developing a highly innovative approach to assessing dietary intake, and providing dietary coaching. He holds 5 U.S. patents with other patents pending, and has published roughly 200 scientific articles and textbook chapters, and 15 books to date, including multiple editions of leading textbooks in both Preventive Medicine, and nutrition. Recognized globally for expertise in nutrition, weight management and the prevention of chronic disease, he has a social media following of over 700,000. Allen Campbell is a chef, author, and co-founder. Allen Campbell began his culinary education at age 14 in Boston, and for the next 20+ years has been seeking his own style in everything from fast food to five-star. In 2009 while living in Miami, Allen made some drastic changes in his lifestyle. He embraced the wellness culture he encountered there, took up exercise, adopted a primarily plant-based diet, and pursued organic stress relief through yoga and meditation. This transformation fundamentally altered his professional trajectory. In 2012, Allen chose to leave the hospitality industry and follow his passion: cooking the foods he wanted people to eat. A year later, this decision led him back to Boston to become personal chef for Tom Brady and Gisele Bundchen. During this time from 2013-2016, he fine-tuned his plant-based philosophy by taking the CNS Plant Based Nutrition Course and dove deeper into the ancient food philosophies of Chinese medicine and Ayurveda. He recently co-authored the TB12 Nutrition Manual, a compilation of 89 seasonally inspired recipes, for his former client’s brand. Allen believes the role of the chef is evolving from simply feeding people palatable, well-presented food into providing nourishment that supports peoples’ physical, mental, and spiritual health. Modern-day chefs have the power to make a positive difference in society by making choices that help sustain the environment and the health of future generations. While Allen continues to share his message through public speaking and the media he has taken on a new venture. He is collaborating with author Julie Loria and Major League Baseball to develop recipes for an exciting new cookbook. Eating well has become the new narrative around professional baseball and Allen plans to reach a new audience with familiar approach to nutrient-dense foods. The forthcoming cookbook will reveal how today’s top MLB superstars nourish their bodies through healthy eating. Due out in late 2017, the cookbook will include 80 recipes, lifestyle tips and interviews. Micah Risk, MSci, earned her Master’s in Food Policy and Applied Nutrition from Tufts University. She is a competitive marathoner and the co-founder of Lighter, a powerful platform that helps the world eat better. Lighter shows people what food to buy and how to throw great meals together based on the recommendations of food experts. 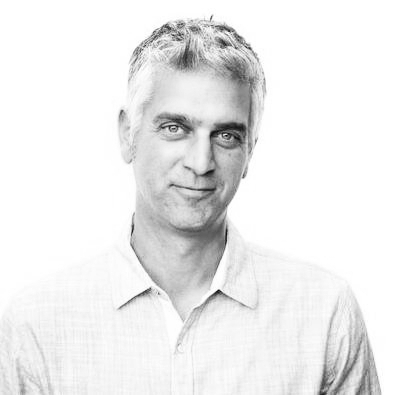 Andy Levitt, MBA, is the Founder & CEO of The Purple Carrot, a meal kit delivery service that makes it fun and easy for consumers to prepare and eat healthy, great-tasting plant-based meals at home and former founder of HealthTalker, the first word-of-mouth marketing company for the healthcare industry. Prior to HealthTalker, Andy spent more than a dozen years in the pharmaceutical sector in a variety of roles, including sales, marketing, strategy and management. 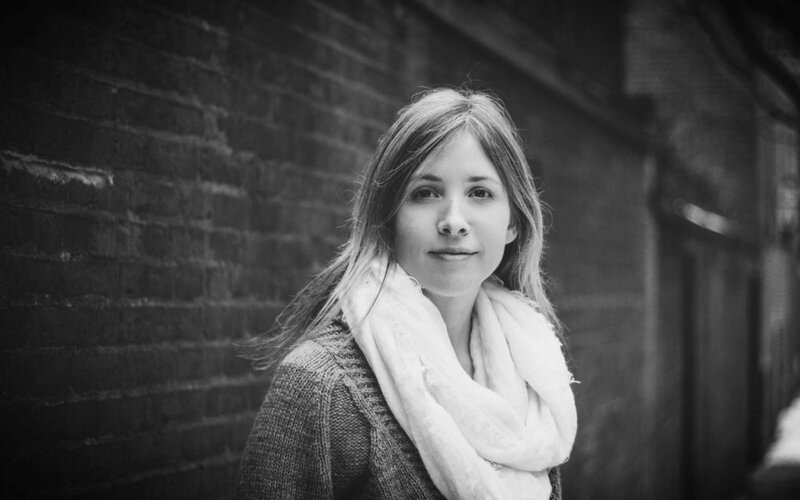 Julie Gueraseva is the Founder/ Creative & Editorial Director of LAIKA Magazine, a groundbreaking publication that showcases modern vegan living through a diverse range of original content. It is NYC’s first vegan print magazine. Gueraseva has worked as an art director with the likes of Def Jam Records, Latina Magazine and Farm Sanctuary. She now devotes herself to utilizing grassroots media and the arts to advocate for animals and social justice, embolden the vegan narrative and creatively subvert the status quo. LAIKA Magazine is the recipient of the 2016 Merit Award for photography from the Society of Publication Designers. Deena Jala is the co-owner of FoMu Ice Cream, a local, specialty ice cream and dessert company focusing in plant-based products and sustainable business practices. 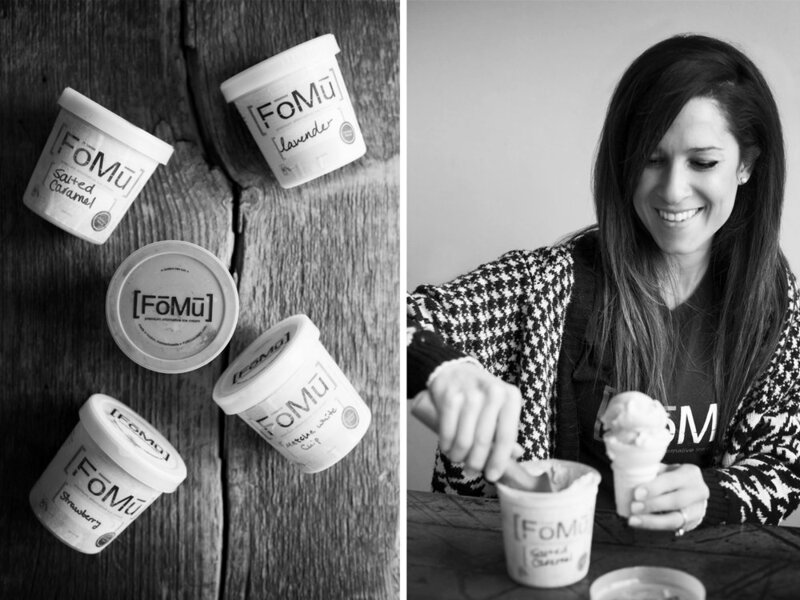 FoMu launched in 2011 and can now be found in specialty retailers (including Whole Foods) throughout New England, restaurants, online, and their 4 Boston area locations. Deena earned her undergraduate degree from Smith College in Economics and went on to earn her MBA from Babson with a strong focus in Entrepreneurship. She spent over decade in International Marketing and New Business, mostly at Bose Corporation. She comes from a family of foodies and entrepreneurs, and despite her early intentions, found herself combining the two when it was time to start a family herself. She is on the Board of Directors of several community and business organizations, and is the mom of two energetic little boys. Pankaj Pradhan -- I’m the proud owner and chef of the Red Lentil, a vegan and vegetarian restaurant just outside of Boston, in Watertown, Massachusetts. I came to cooking in a rather roundabout way. During a brief career in IT, I realized something was missing from my life. I felt drawn towards cooking, so I decided to go to culinary school in Kolkata, in my home country of India. I landed jobs working for Hyatt Hotels and Carnival Cruise Lines. During my time as a chef at Carnival, I visited over 40 countries andcompleted my higher culinary training in France. Being exposed to so many different places, cultures, and cuisines was one of the most enriching experiences I ever had. Amie Hamlin is the Executive Director of the Coalition for Healthy School Food, a small non-profit that is responsible for the first public (non-charter) vegetarian schools in the country. Under her leadership they have developed “plant-powered recipes from around the world” which have been distributed to 25,000 schools nationwide, developed nutrition education resources, and taught hundreds of students weekly in New York City. The Coalition educates the whole school community, including students, parents, teachers, administrators, and food service personnel. Nina Gheihman, PhD Candidate in Sociology at Harvard University. Her dissertation is a comparative study of veganism in the United States, France, and Israel. Nina is interested in understanding how the same cultural practice is expressed differently across societies, and what we can learn about what makes a particular culture more receptive to a plant-based diet. In particular, she is interested in the emergence of cultural brokers who promote the practice through its embodiment. Unlike traditional activists, these brokers engage in cultural meaning work, knowledge production, and entrepreneurship, transforming activism itself. Nina is President of the Harvard Vegan Society, serves on the Council for Student Sustainability Leaders at the Office for Sustainability, and works with several groups on campus, including the Food Literacy Project, the Animal Law & Policy Program at the Harvard Law School, and is a Program Director of the iV League Vegan Conference. Perhaps not surprisingly, Nina is vegan herself and also founded a group called Boston Plant-Based Millennials which organizes monthly vegan potlucks in the Boston area, works with the Boston Vegetarian Society, and sees recipes as inspiration rather than rules to be followed. Gidon Eshel, PhD, MPhil, MA, is a research Professor of Environmental Physics at Bard College and runs the website environmentalCalculations.com. He is best known for his work quantifying the geophysical consequences of agriculture and diet. Eshel is currently a Radcliff Fellow at Harvard University Center for the Environment and the Harvard T.H. Chan School of Public Health where he is collaborating with scientists on the developing multi-objective metrics of diet. He did his undergraduate work in animal nutrition, physics and earth sciences in Israel before coming to Columbia University, where he earned his MA, MPhil and PhD degrees in applied mathematics and geophysics (in '92, '93, and '96 respectively). He was then a postdoc at the Center for Earth and Planetary Physics at Harvard for two years, and a staff scientist in the Department of Physical Oceanography at the Woods Hole Oceanographic Institution in Woods Hole MA. In '99 Gidon joined the faculty of the Department of Geophysical Sciences at the University of Chicago, where he taught for nearly a decade. Gidon has been at Bard since '07. Kara Pellowe, MA, MSc, PhD Candidate at the University of Maine, is working with Dr. Heather Leslie to assess the resilience of small-scale fisheries in Baja, Mexico. Kara’s research focuses on the interactions between humans and their resources, and aims to identify ecological and socioeconomic processes that impact the sustainability of fished species. She works closely with local and federal resource managers in Mexico to implement management practices that enhance the resilience of fishing communities and better reflect local ecology. Kara is deeply committed to reducing the ecological degradation associated with modern food systems, and has been vegan for the past eight years. William Clark, JD, is the Harvey Brooks Professor of International Science, Public Policy and Human Development at Harvard University’s John F. Kennedy School of Government. Trained as an ecologist, his research focuses on sustainability science: understanding the interactions of human and environmental systems with a view toward advancing the goals of sustainable development. He is particularly interested in how institutional arrangements affect the linkage between knowledge and action in the sustainability arena. Matthew Hayek, PhD, is a Research Assistant at the Harvard School of Engineering and Applied Sciences, works with Professor Steven Wofsy on measuring greenhouse and reactive trace gases in the Brazilian Amazon. 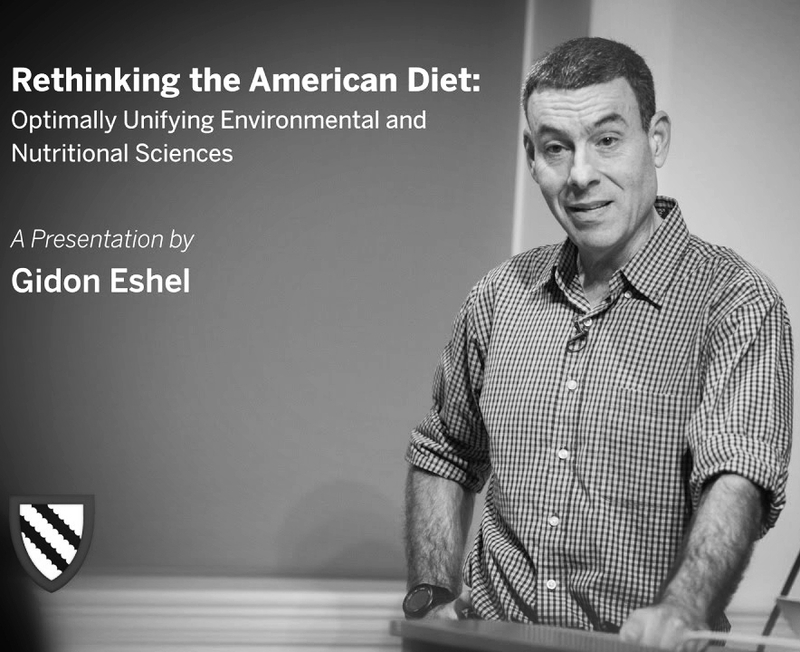 He has spoken on the impacts of our diet on the environment, health, and animals in the presentation, The Empirical Case for Plant-Based Diets at Harvard University. In addition to his graduate research, he has been vegan for over nine years and is drawn to the science of our food system and its environmental impacts. David Havelick, ALM, is a Sustainability Manager in the Harvard Office for Sustainability and has ten years of experience working at the Harvard T.H. Chan School of Public Health in the Department of Epidemiology. In the Office for Sustainability, David helps to develop, implement, and advance the University-wide goals, standards, and commitments that are contained in the Harvard University Sustainability Plan. He works with faculty, students, senior leaders, and staff to translate cutting edge research into practice and to ensure that research informs the priorities of the Office and the University. David also got his masters degree in Sustainability and Environmental Management at the Harvard Extension School, and is a Board Member of the Boston Vegetarian Society. Vijay Kanabar, PhD, MBA, BS, is an Associate Professor of Computer Science and Administrative Sciences at Boston University and the Director of Project Management Programs. Dr. Kanabar has unique expertise spanning both business practices and computer science. A certified Project Management Professional, he has advised numerous organizations on training and technology needs, including Blue Cross Blue Shield, Staples, United Way, and Fidelity Investments. Kanabar is an internationally published scholar and is recognized by local and national media as an authority on IT project management, electronic commerce, and information security. Alexis Fox, JD, is the CEO (Chief Empowerment Officer) at Lighter, a powerful platform that helps the world eat better. Lighter shows people what food to buy and how to throw great meals together based on the recommendations of food experts. Fox has dedicated her life to fixing our broken food system and has worked in the movement as an attorney, political leader and entrepreneur. She also spent three years as an adjunct Professor of Leadership at Emerson College. Liz Specht, PhD, Senior Scientist at The Good Food Institute, holds a bachelor’s degree in chemical and biomolecular engineering from Johns Hopkins University, a doctorate in biological sciences from the University of California, San Diego, and postdoctoral research experience from the University of Colorado Boulder. Dr. Specht is a Fellow with the University of Colorado at Boulder Sustainability Innovation Lab. She has a decade of academic research experience in synthetic biology, recombinant protein expression, and development of genetic engineering tools. Liz firmly believes in the potential of bioengineering and synthetic biology to solve many of the planet’s most pressing concerns, starting with animal agriculture. She works to identify and address areas of need for plant-based and cultured scientific innovation and encourages funding agencies to prioritize research that moves this field forward. Victor Galli is a healthcare data/IT consultant who helps hospital systems and health insurance companies improve their operations. Originally from Dallas, TX, he attended the University of Pennsylvania, where he studied biochemistry and the history of science. During his time at Penn, he founded both the Penn Vegan Society and the iV Conference. He was (and is) particularly passionate about reframing the vegan movement in academic and professional terms, which has been a divergence from the more common approach in the vegan movement of using activist strategies sourced from the counterculture era of the 1960s. He now lives in Philadelphia, PA, which he claims is the best city for excellent vegan cuisine from top-notch vegan restaurants. Phaedra Randolph holds a degree in Operations Research & Information Engineering from Cornell University where she also studied pre-medicine and nutrition.During her time at Cornell, she was President of FACES, an epilepsy and seizure awareness organization, served as a Lime Connect Fellow, and co-founded and ran the Cornell Vegan Society. She has been involved with iV: The Ivy League Conference since its inception. She has been at Facebook, Inc. for the past 3 years where she has worked as a Risk Analyst and most recently, a Software Developer. During her time at Facebook, she founded and ran the corporate Vegan 'Lean-In Circle' and the corporate club Plant-Based Life@ which faciliate community and event-based education for those interested. Phaedra is an avid athlete, having been a 2x state women's ice hockey champion and an NCAA D1 lacrosse recruit. As a retired tri-athlete, she now enjoys HIIT and running. She is also an award-winning artist and is deeply passionate about leading and engaging in a healthy lifestyle as a solution to many of the environmental, health, and ethical disparities faced today by our global community. In her free time, she enjoys learning and separately, discovering new plants at local farmers markets and conducting culinary and gastronomical experiments. Delcianna Winders, JD is the first-ever Academic Fellow of the Animal Law & Policy Program at Harvard Law School. Winders’ work has appeared in the NYU Law Review and the Animal Law Review. Her writing has also recently appeared in outlets such as the New York Times, Newsweek, USA Today, and the Wall Street Journal. Winders received her B.A. in Legal Studies with highest honors from the University California at Santa Cruz, where she was named a Regents’ Scholar and received the Dean’s Award for outstanding achievement in Social Sciences. She received her J.D. from N.Y.U. School of Law, where she was awarded the Vanderbilt Medal for outstanding contributions to the law school, named as a Robert McKay Scholar, and served as the Senior Notes Editor of the NYU Law Review. Following law school, Winders clerked for the Honorable Martha Craig Daughtrey on the United States Court of Appeals for the Sixth Circuit. Before coming to Harvard, Winders practiced animal law in a variety of settings and taught animal law at Tulane University School of Law and Loyola University New Orleans College of Law. She has also presented at law schools across the country, including Columbia, Harvard, New York University, Stanford, the University of Chicago, and Yale. Chris Green, JD, is the Executive Director of the Harvard Animal Law & Policy Program and an alumnus of Harvard Law School. Chris previously was the Legislative Director for the Animal Legal Defense Fund, and recently served as Chair of the American Bar Association’s Animal Law Committee. Chris has been published in the Animal Law Review, won First Prize at the inaugural National Animal Law Competition, regularly testifies at legislative hearings, and has consulted on animal legal issues for dozens of major media outlets. Chris also spent several decades working in the fine arts, film and music industries, and currently owns and manages an Illinois farm that has remained in his family for 179 consecutive years. Cass Sunstein, JD, is the Robert Walmsley University Professor at Harvard Law School. He clerked for Justice Benjamin Kaplan of Massachusetts Supreme Judicial Court and Justice Thurgood Marshall of the U.S. Supreme Court. He worked as an attorney-advisor in the Office of the Legal Counsel of the U.S. Department of Justice and was a faculty member at the University of Chicago Law School from 1981 to 2008. From 2009 to 2012, he served as Administrator of the White House Office of Information and Regulatory Affairs. From 2013 to 2014, he served on the President's Review Group on Intelligence and Communications Technologies. Sunstein is the author of hundreds of articles and dozens of books, including Republic.com (2001), Nudge: Improving Decisions About Health, Wealth, and Happiness (with Richard H. Thaler 2008), and Simpler (2013). His latest books are The World According to Star Wars (2016) and The Ethics of Influence (2016). Sunstein received his bachelor of arts from Harvard College in 1975 and his doctorate in law from Harvard Law School in 1978. Anil Narang, MBA, holds an MBA from the University of Chicago, While he is involved with investing in US and Indian equities, and is on the Investment Committee and Board of Enam India Asset Management - and was Principal with Morgan Stanley - his real passion is promoting a vegan life style. He has presented in several global conferences on 'The Imperative of Vegetarianism and Veganism for Moral Progress, Democracy, and World Peace'. Anil is presently involved in launching an investment fund with a sustainable and responsible strategy where animals are not harmed, and clients can align their wealth with their worldview. He is also involved with some vegan food initiatives. 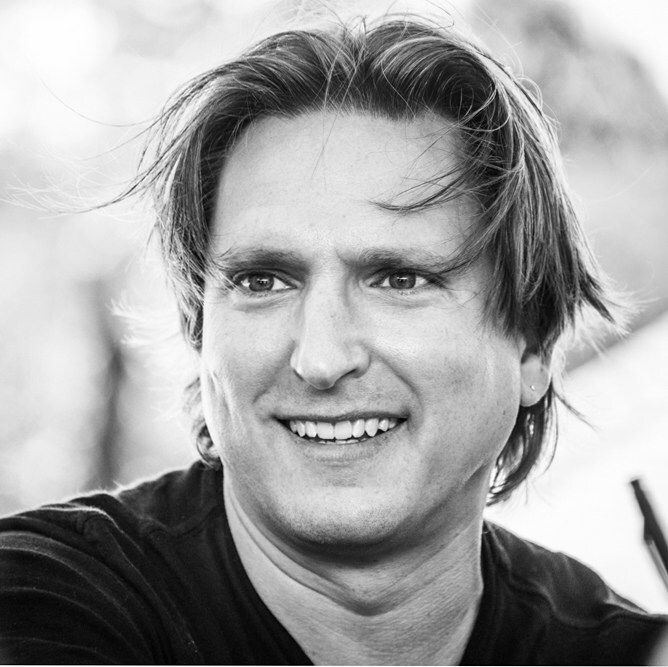 Lee Slonimsky is the manager of hedge fund Green Hills Partners LP, which currently trades as a "side pocket" of his 17 year old NYC-based technology fund, Ocean Partners LP. Green Hills uses various strategies, including a positive humane screen and targeted short selling, to reduce factory farming's unethical practices. Green Hills also manages individual accounts with similar humane strategies. Vasco Bilbao-Bastida, MBAis a Vice President, Group Account Director at VaynerMedia, a full-service digital agency that helps brands meet business objectives using modern video production, media planning & distribution, influencer marketing, and everything in-between. Before Vayner, Vasco's professional background includes management consulting at Deloitte Consulting, environmental markets & conservation finance at Linden Trust for Conservation (including work on the Amazon Region Protected Areas "ARPA" Program), sales & trading at J.P. Morgan, and a teaching fellowship in rural Japan. Vasco is fluent in English, Spanish, and Portuguese and speaks advanced French. He holds an MBA from the Wharton School, an MA from the University of Pennsylvania, and a BA from Harvard University.